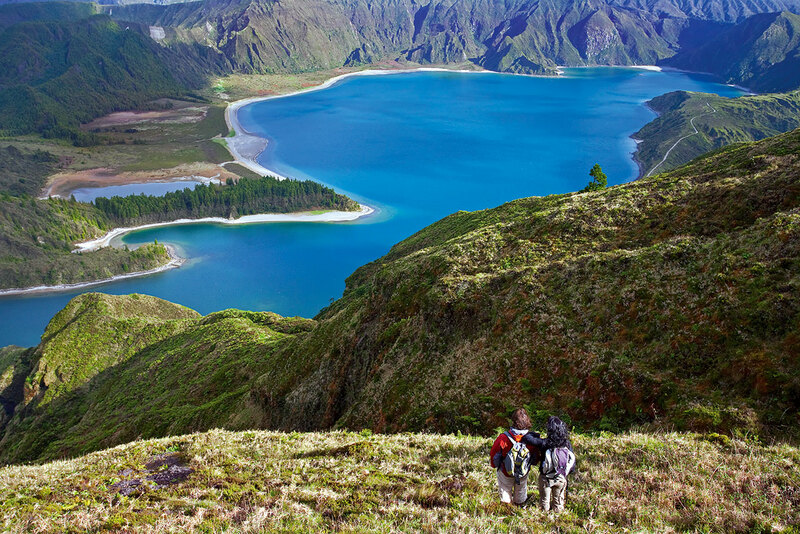 This short circular trail begins and ends opposite the Lagoa do Canário and takes about 2 hours to complete. The path rises gently, skirts a small, marshy area and then rises more steeply until you come to a geodesic marker, indicating the highest point on the trail. As you climb, to your left you can see the Muro das Nove Janelas (lit. the Nine-windowed Wall), an old aqueduct that used to transport water to Ponta Delgada, and the Lagoa do Pau Pique, a lake lying in the centre of a small volcanic cone. When you reach the top of the hillside, you can see the Lagoa das Éguas to your left, and a small round lake to your right. A little further ahead you will come to a side turn leading to a vantage point, where you can view the two aforementioned lakes, on your left, and the Lagoa Rasa, on your right. 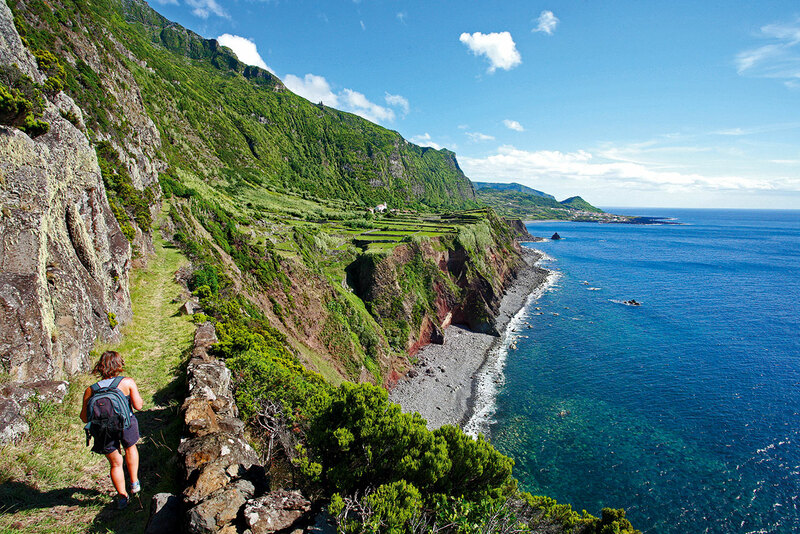 The path then descends to the shores of the Lagoa Rosa, which is the half-way stage of the trail. The trail continues around the lake, and, a little way ahead, crosses a wood of Japanese red cedars and then leads back to the point of departure. 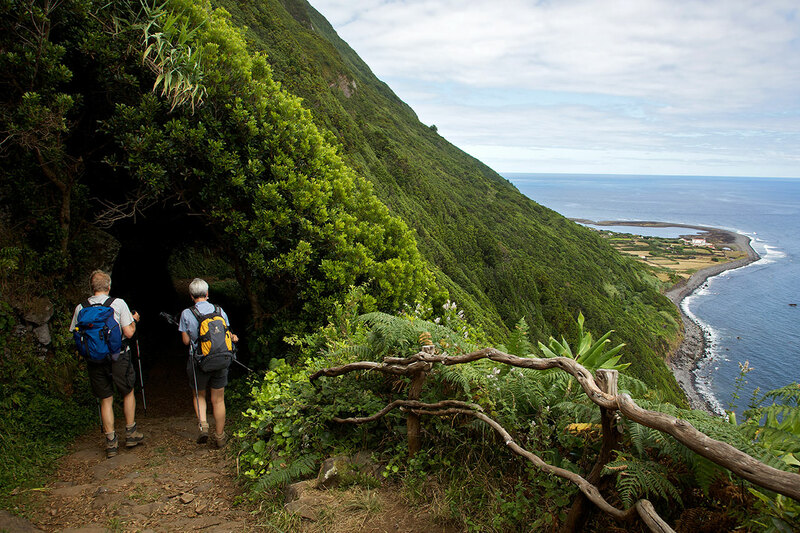 This trail crosses an area ranging between 750 and 900 metres in altitude, and it is therefore advisable to choose this walk when visibility is good.